The following blog series by the Sentinel Project’s Steven Kiersons explores how the physical sciences and Western philosophy contributed to the modern phenomenon of genocide and totalitarianism. Kiersons illustrates how the rise of scientism following the discoveries of Galileo essentially supplanted the grounding of human social orders in morality with the foundation of society in mechanistic science, fragmenting morality among movements, ethnicities, and nations, and resulting in nihilism, relativism, and conflict-theory. “I walk in the direction Providence dictates with the assurance of a sleepwalker” – Adolf Hitler, Munich, 1936. Totalitarian governments were the means of human social organization that most accurately applied the ideas of mechanistic physics to the moral venture of human organization. At their ideological heart was the philosophical concept of determinism – the idea that natural laws ruled the universe and human action was predetermined by the machinery of scientific history. There was no room for free will in the totalitarian mantra – in Nazi Germany or the Soviet Union – only obedience to the inevitable. Even the ruler, the supreme dictator, was a cog in the irresistible oscillation of the machine. Hannah Arendt went so far as to argue that the perceived power of the totalitarian ruler was not so much based on his own perfection, but on his ability to interpret the reliable forces in history, forces which neither defeat nor ruin could prove wrong. The very essence of the insanity of totalitarianism, of the phenomenon of men such as Stalin and Hitler, was a pseudo-scientific belief in the perfection of human knowledge, an idea that reigned only at the very end of the mechanistic world-view in science. The totalitarian ruler was merely an agent of natural law, a victor at the helm of a state nearing the end of history and a sage in the understanding of the natural inertia of human beings. It was the natural, logical conclusion of a mechanistic universe in which everything was measurable and predictable, in which everything was in motion and conflict. As we have seen in previous installments of the “Crime of Barbarity,” the very way we understand and speak of politics owes its genesis to the discoveries of Galileo and Newton. Today, we speak of “revolutions” and “movements” as if they are merely political concepts, not as they really are – ideas stolen from observations through a telescope – from calculations of the operations of the stars and planets. Human spontinaety confounded the determinism of the totalitarian system, a science of social organization based on the predictability of men. Arendt observed that the only place where the totalitarian dream of perfect human predictability was truly realized was in the “laboritories of human nature,” in concentration camps, where human spontinaety was defeated and men were reduced to mere bundles of reactions. It was the perfection of the mechanical rule of men – factories of death, assembly lines of horror, as scientifically sound as they were terrible. Once set in motion, these factories operated themselves. 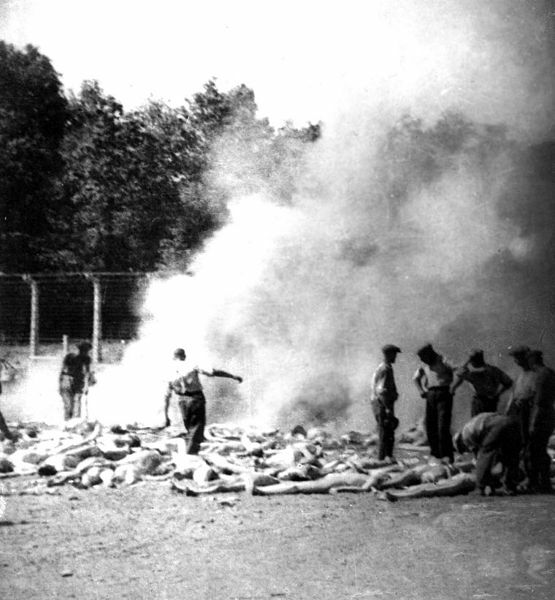 No more than two SS men were required to operate a crematorium in Auchswitz – a perfect model of the efficiency of mass murder. The mechanistic picture of the universe, the idea the modern state and its attendant ideologies had been constructed upon, was in decline – its downfall owing in no small part to an iconic physicist named Albert Einstein. The cracks revealed in the mechanistic universe by Einstein – that the universe was indeed not predictable, but chaotic and statistical (a conclusion Einstein himself rejected) – was particularly troubling to the forms of social organization built upon the supposed unquestionable fact of the established world-view: communism and fascism. Hitler condemned quantum physics as “Jewish Science” and Stalin was particularly troubled by Einstein’s implied contradiction of dialectical materialism, later criminalizing the advocation of Einstein’s ideas in the Soviet Union. The idea that both of the world’s most terrifying political concepts, nationalism and socialism, could be threatened by a description of the movement of atoms is inexplicable unless one understands the genesis of both dogmas in the physics of Galileo and Newton and their political adaptation by Thomas Hobbes. Modern morality and its social application in politics had been built on the supposed infallability of the physical sciences, and when those very foundations began to crack, as is wont to happen periodically in science, the reaction was astonishing – political entities rejected discoveries in physics based on their incompatibility with social grand theories – the intellectual cart had been put before the horse. Social structures based on scientific concepts are inherently violent and unstable because while science relies on provisional knowledge, constantly open to revision and change, social organization rests on universal and unchanging moral concepts of right and wrong, however flawed those ideas might be in a particular social context. Next week we will delve into the problem posed by the factories of death in the Soviet Union and Nazi Germany and the resulting philosophical aftermath of totalitarianism.